Finance Minister Arun Jaitley presented the Business Standard Annual Awards in the presence of top India Inc leaders, who gathered in Mumbai on Saturday to celebrate the success of some of their peers who have achieved corporate excellence. 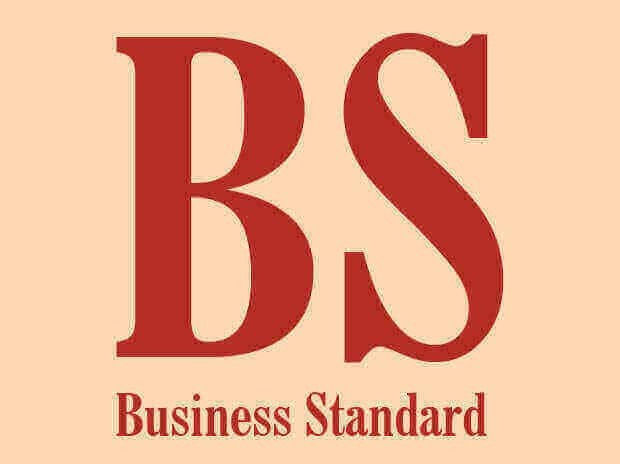 Business Standard also introduced the Business Standard Corporate Social Responsibility (CSR) Awards 2016 to recognise the best Social Entrepreneur, Socially Aware Corporate and Social Enterprise. This year’s awards were given to 14 outstanding organisations and individuals, who took their respective fields of operations to newer heights while delivering on scale, sustainability, leadership and innovation. They were chosen by four separate juries comprising some of the most respected names in India Inc. While the corporate excellence awards were chosen by a jury led by Maruti Suzuki Chairman R C Bhargava, the Banker of the Year was selected by one headed by former Economic Affairs Secretary C M Vasudev. The CSR awards were chosen by a jury headed by Tata Institute of Social Sciences Chairman S Ramadorai. The Fund Managers of the Year were selected by a jury led by former chairman of Securities and Exchange Board of India and Life Insurance Corporation of India G N Bajpai. The winners include India’s biggest airline IndiGo, which won the Company of the Year award, and Siddhartha Lal of Eicher Motors, who won the CEO of the Year award. Interglobe Aviation, the company that flies IndiGo Airlines, won the award for being a consistent performer, reflected in its service standards and market share. The airline came out with an initial public offering (IPO) in October 2015, and commanded a market capitalisation of Rs 36,886 crore as on Friday. On the other hand, Lal, who became the chief executive officer of Royal Enfield in 2000 at the age of 26, was faced with a company with struggling products. Four years later, Lal decided to divest 13 of the 15 businesses that Eicher was in and decided to put all the money and focus behind Royal Enfield and trucks, two businesses where he believed the group had a genuine shot at leadership. Lal’s bet paid off with Eicher becoming a grand success in motorcycles. Today, the company has a market capitalisation of Rs 66,300 crore. Another corporate legend, Y C Deveshwar, non-executive chairman of ITC, was presented the Lifetime Achievement award for transforming the conglomerate into one of India’s biggest companies during his two-decade tenure as its leader. The Banker of the Year award went to HDFC Bank MD & CEO Aditya Puri. Maruti Suzuki received the Star MNC of the Year award, while NTPC got the Star PSU of the Year award. Dr Lal PathLabs is the winner of Star SME of the Year award. Freshdesk was selected as Start-Up of the Year. Sanjit ‘Bunker’ Roy of Barefoot College won the Social Entrepreneur of the Year award. It skills rural women and communities to be self-reliant — not only in India, but in 77 other countries — across 1,300 villages. Axis Bank won the Socially Aware Corporate of the Year award for working with a set of initiatives aimed at providing sustainable livelihood opportunities in remote regions of the country. The Social Enterprise of the Year was given to Pratham Education Foundation, one of the biggest non-government interventions in India’s education sector, which reaches close to six million students across the country today. In a special award by the jury, India’s premier space agency, ISRO received the Innovative Organisation of the Year award for achieving significant milestones in 2016 in the domains of vehicle, satellite, applications and space exploration. The Equity Fund Manager of the Year award was given to Vinit Sambre of DSP Blackrock Mutual Fund and Debt Fund Manager of the Year award was presented to Anil Bamboli of HDFC Mutual Fund.